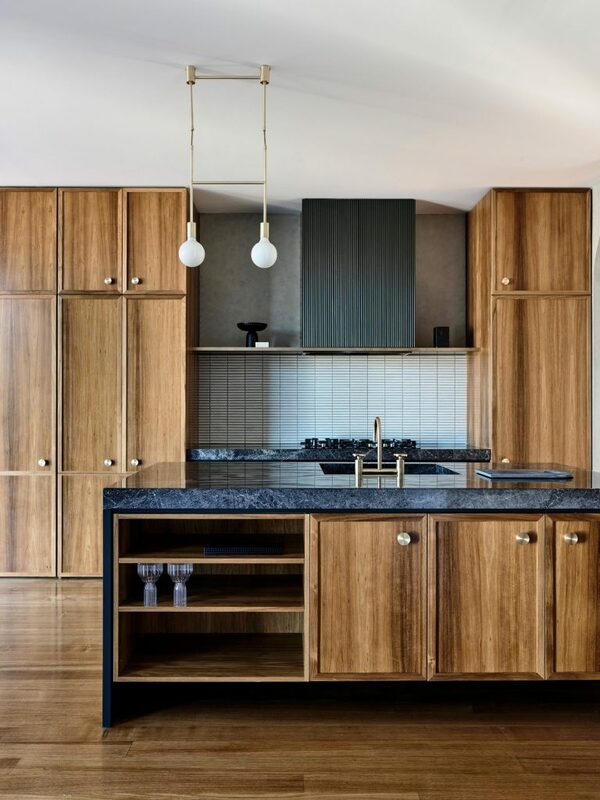 Luke Fry Pty Ltd won four awards in the BDAV’s 2018 Building Design Awards for their Chaddesley Avenue project, in the categories of Residential Design Alterations & Additions $250K-$500K construction cost, Residential Interior Design, Most Innovative Kitchen Design, and Excellence in Use of Steel. The project also won Residential Design Alterations & Additions $350K-$800K construction cost in the 2018 NABD Awards. 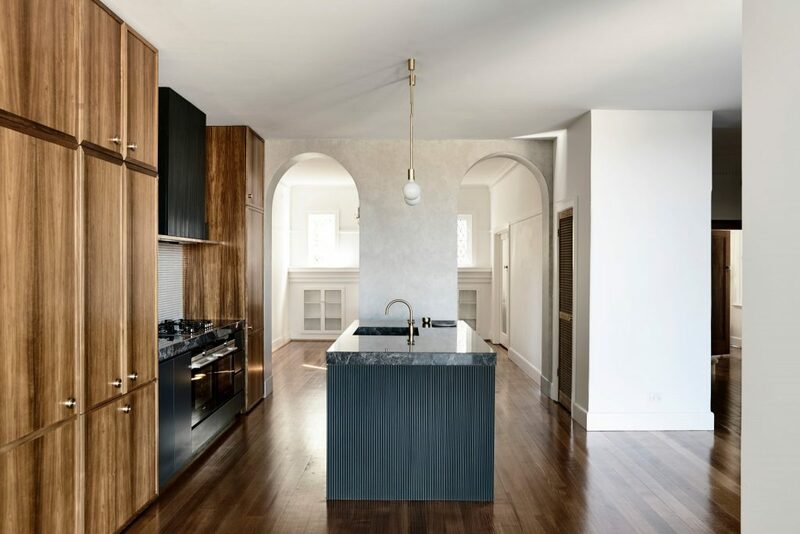 The judges said this project provides a great example of how to renovate and prolong the life of a period home without excessive cost or extensive demolition. The contemporary architectural solution ticks all the boxes of the client’s brief and provides a well resolved response to the existing site conditions, enriching both the existing dwelling and the entire neighbourhood character. The interior design is intended to remain as relevant today as it will in 100 years, both complementing and enhancing the existing context of the house with seamless integration, yet modern convenience and style. The carefully-considered connection between interior and exterior spaces and landscape design ensures framed views to external gardens and a sense of open-connection from inside to out and vice-versa. This project provides a great example of how to renovate and prolong the life of a period home without excessive cost or extensive demolition. The contemporary architectural solution ticks all the boxes of the client’s brief and provides a well resolved response to the existing site conditions, enriching both the existing dwelling and the entire neighbourhood character. 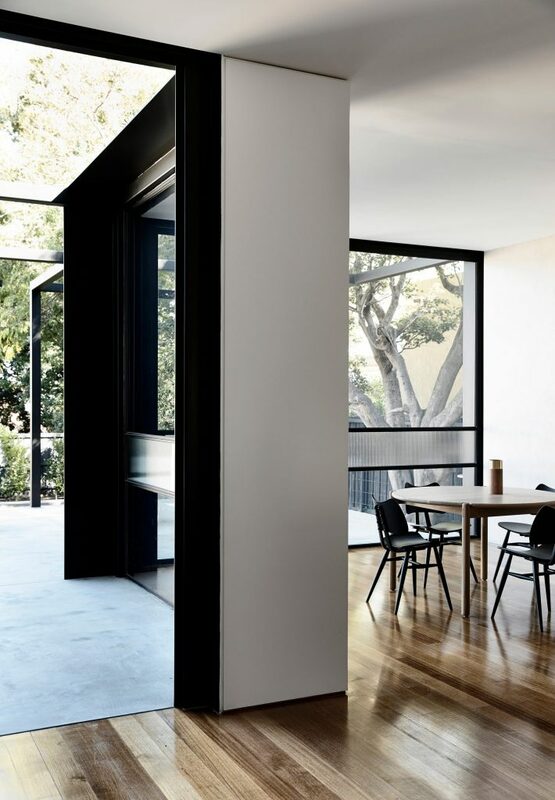 Faced with a common dilemma, Luke Fry’s empty-nester clients wanted to remain in their family home in sought-after inner city St Kilda, but needed to transform the space to better suit their new lifestyle and future needs. Opting to maximise the existing floorplan rather than add to it, the result is a refined balance of old and new, focussed on improving the design, functionality and quality of space within. 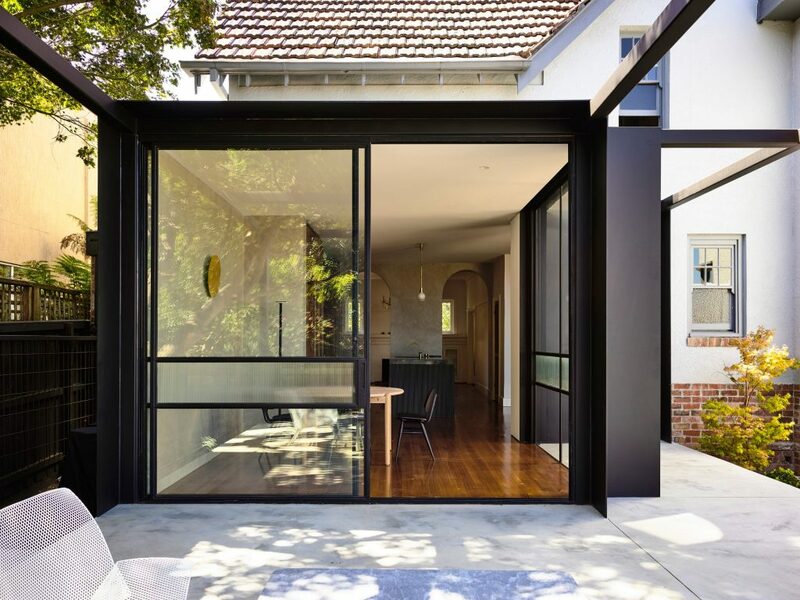 Briefed to improve both indoor and outdoor entertainment spaces, Luke redesigned the dark and dysfunctional downstairs layout of the original 1935 Art Deco double-storey brick house, reconfiguring the kitchen, meals, laundry and deck area, and adding a new powder room. 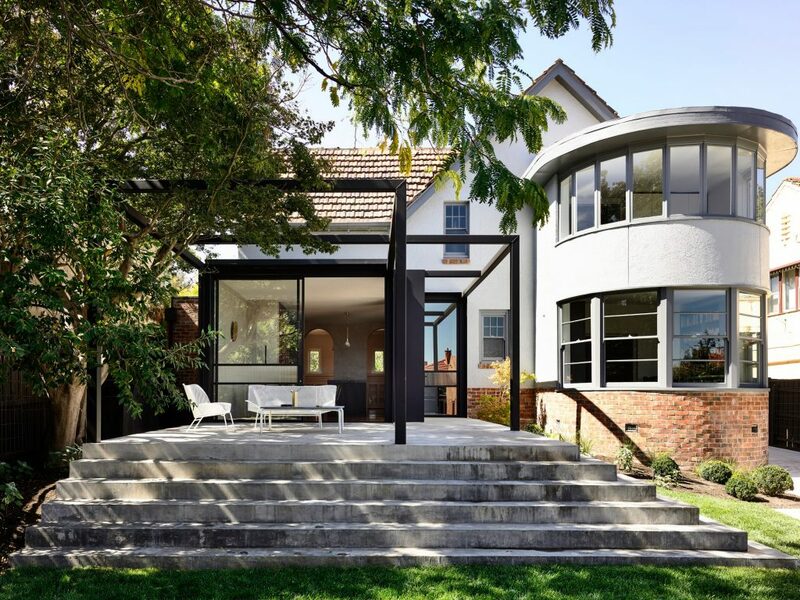 The exterior showcases a playful geometry between the Art Deco curves, triangular roof pitch, and contemporary steel extension, featuring multiple splayed roof forms to allow light to penetrate deep into the home. The use of steel for the extension informs the design and its expression. 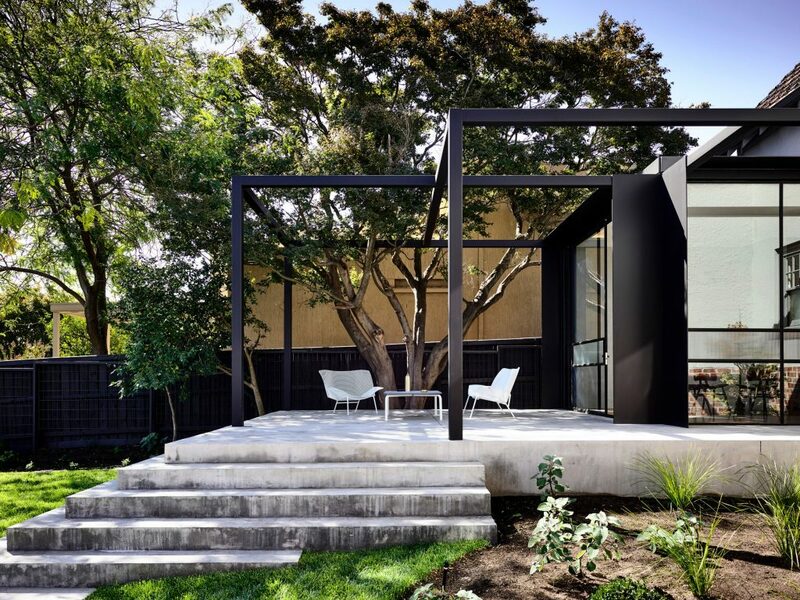 Large glazed steel doors and windows complement the spare design aesthetic and provide a vital new connection to the outdoors, while the outdoor living space is framed by the contemporary steel-framed structure, weaving around the much-loved existing trees. Luke’s approach to the interior design was to create a timeless aesthetic “as relevant today as it will be in 100 years”, he says, while seamlessly complementing and enhancing the home’s original character. The existing home interiors – through a policy of minimising unnecessary interventions – have been refreshed with new high-quality, long-lasting materials throughout. Fully integrated, the kitchen’s high-tech appliances are hidden to avoid overpowering the materials palette, while a frameless pivot door conceals the new laundry entry, conveniently located behind the kitchen. As the building designer, interior designer and builder of the project, Luke was able to design with efficiency and practicability in mind, without compromising the design intent or quality. Essential to this design story, says Luke, is the client’s willingness to forgo extra floorplan for higher quality design and detail.